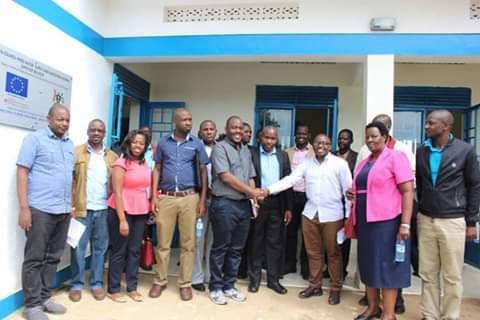 KABAROLE – Officials from the Ministry of Water and Environment on Thursday handed over the Kiko Town Council Water Supply and Sanitation Scheme in Kabarole to National Water and Sewerage Corporation for efficient management and operation. 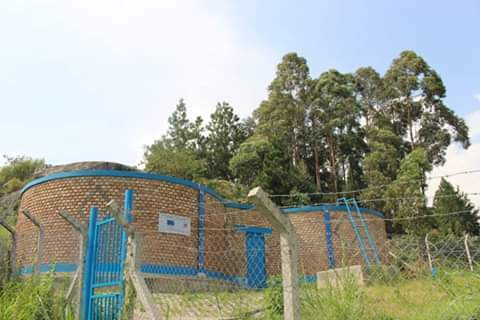 The project which was funded by the European Union (EU) and the Government of Uganda will benefit 15 villages of Kiko Town Council. The villages include Nyabubaale, Nyabinamba, Kasojo, Makobyo, Kigarama, Kasiisi, Kimuhonde, Kiko, Kanyambeho A, Kanyambeho B, Rusenyi A, Rusenyi B, Ruteete, Imaranjara, Rutoomanteza and the surrounding areas. Speaking at the handover ceremony, Kabarole LC5 Vice Chairperson Margaret Kihika appreciated the level of service delivery in the area and thanked the Ministry of Water and Environment and NWSC for extending clean safe water to more Ugandans. “From this meeting, I’m going with NWSC officials to discuss more extensions for our people. We are very impressed by their effectiveness.” She said. Kiko Town Council Mayor Kemigisa Margaret applauded both teams for the good work. NWSC Senior Manager Operations Western and South Western Region Eng Mahmood Lutaaya appreciated the Ministry of water and Environment for successfully completing the project. He shared the Corporation’s plans to extend clean safe water to over 12,000 villages across Uganda under the #SCAP100 programme (Service Coverage Acceleration Programme) an initiative by the Government of Uganda and NWSC. Eng Mwanje Enoch from the Ministry of Water and Environment and Manager WSDF Wetern Branch said that the project work which started in 2016 was completed in 2018. He shared the project brief, future plans for expansion and challenges. Eng Mwanje appreciated the collaboration with NWSC.